Full truck load shipping (FTL) denotes transports without handling directly from the place of loading to the recipient. 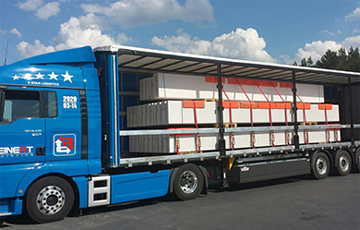 Less than truck load shipping (LTL) denotes transports that require increased specialised planning effort. LTL serve to achieve maximum efficiency for the customer and to deliver combined loads in time at various places of loading. Our tautliner fleet includes some 300 towing and 400 towed units and is continuously being expanded. 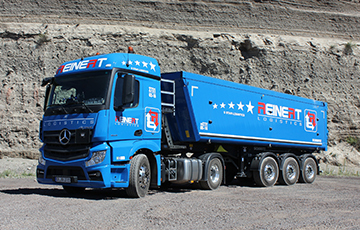 The entire fleet has already been converted to Euro 6 emission standards in the interest of our environment and customers. 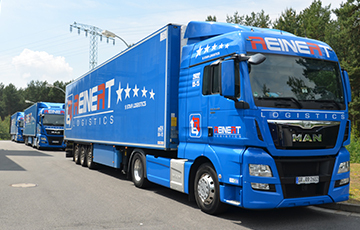 Our vehicles’ low gross weight of 13.3 t makes REINERT Logistics the carrier that offers its customers a corresponding added value and transports goods of up to 26.5 t, significantly reducing the costs per tour for REINERT customers. All vehicles (obviously ours … which other could we mean) are equipped with the latest, most up-to-date safety and technical systems (incl. lane departure warning system, brake assistant, navigation systems, tablets, eco-drive etc.). 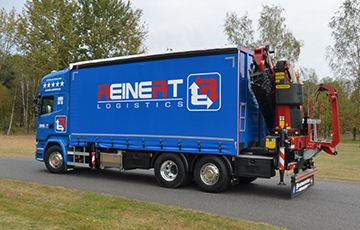 The REINERT trailers are specifically Code XL certified and in addition all feature forklift mounting brackets for truck-mounted forklifts, providing further flexibility for REINERT customers. 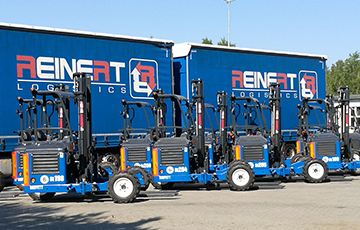 Our Moffett truck-mounted forklifts help to tackle typical logistics challenges. 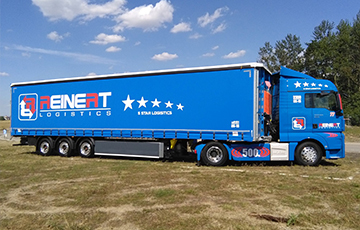 Loading and unloading are made significantly easier and operational efficiency is increased as more goods can be delivered in shorter time. 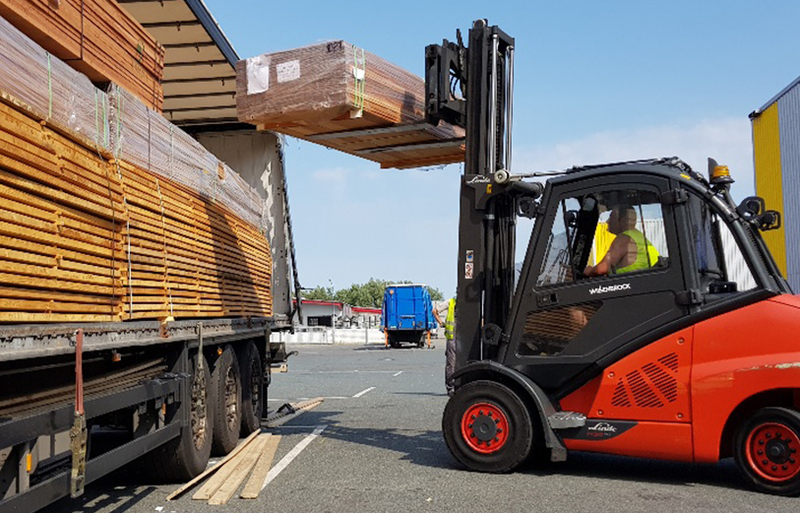 We transport anything that can be loaded onto a curtain-sided articulated lorry, be it snow ploughs, construction material, containers, animal feed, tractors or straw. Large and bulky goods are predestined for jumbo transports. We provide maximum space for your goods with an internal height of 3 m and a load volume of 120 m³. 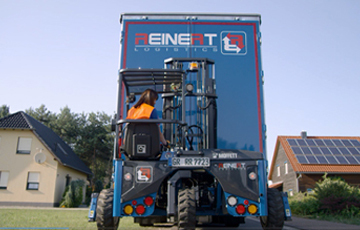 The REINERT LOGISTICS Jumbos offer flexibility in loading and unloading with their truck-mounted forklifts. 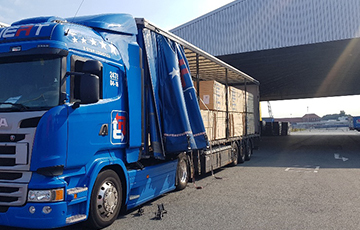 We have at our command a modern fleet to deliver temperature-sensitive goods such as fruit, meat, fish and frozen goods to your customers without loss of quality. 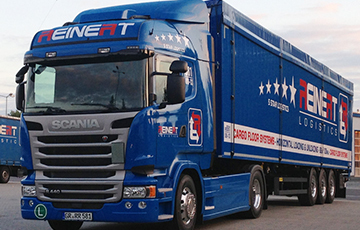 Our vehicles and refrigerated trailers are state-of-the-art. 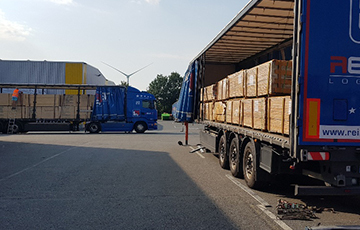 The protection of goods during transport in addition to optimal itinerary planning and adherence to precisely clocked time slots is essential especially in the food industry. 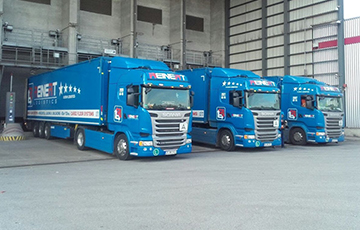 With our nationwide refrigerated fleet of about 110 vehicles, we can transport foodstuff, beverages and flowers. 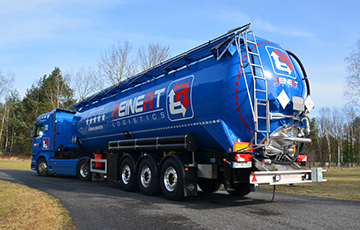 A REINERT Logistics silo is the right solution for transporting bulk goods. The internal coating of our silos allows for near residue-free unloading. 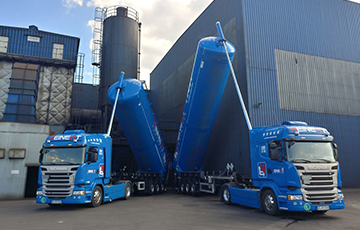 A capacity of 40 to 60 m³ makes it possible to load variable volumes. 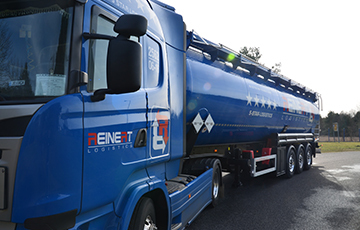 Our staff receive ongoing training and all are ADR qualified for transporting also dangerous goods. You have modern equipment at your disposal. 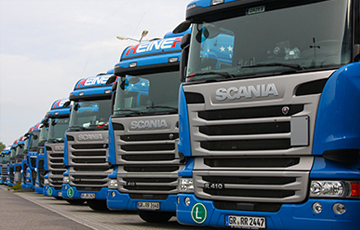 With about 200 vehicles, our bulk cargo division works for procurement logistics in many industry sectors. Another key area of activity is logistics on large construction sites as an exclusive partner. 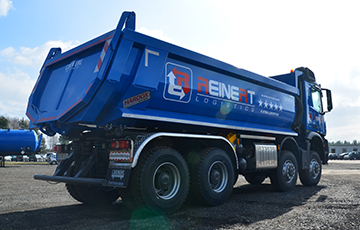 Our tipping trailers are the optimal solution for all loose bulk, from the private sector to large construction sites. 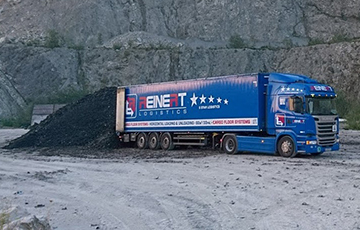 With our large fleet we can transport bulk such as construction materials, secondary fuels and ADR materials. You have to transport construction materials, system components and similar things on schedule, which you need to load and unload yourself? We are the right partner for you! 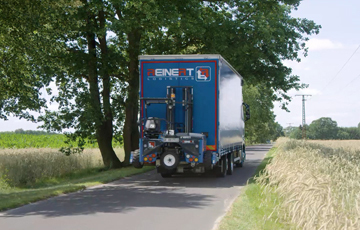 Be it open vehicles or closed ones for weather-sensitive materials – we have a solution for everything. At ground level or high up – that, too, is no problem for us. We move your goods higher! 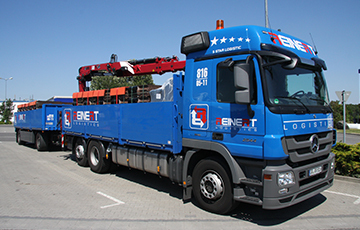 REINERT maintains one of the most modern crane vehicle fleets for roofing / solar modules / thermal collectors and multi-storey logistics for dry construction materials. 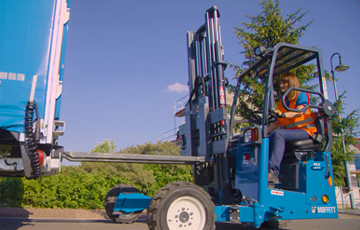 The vehicles and loading cranes of up to 35 m are state-of-the-art, incl. 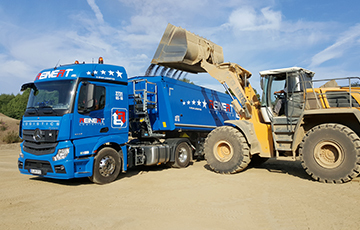 Euro 6 standard, rear axle steering, fully air-sprung, electronic outrigger monitoring, remote control for optimal and safe working conditions, 2.5 t cable winch incl. SRC & RTC systems, universal crane fork, lifting straps, roof tile grapple + 2 dollies, lashing straps, edge protectors, anti-slip mats, lashing eyelets etc. 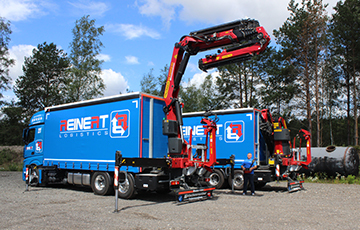 Payloads vary between 15 t and 22 t depending on vehicle type and crane size. 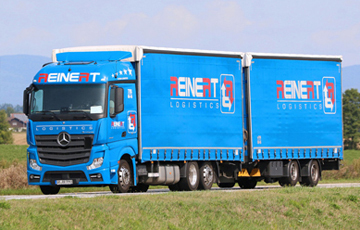 Deliveries to tighter access roads are also possible with the tractor unit only without trailer as these are completely articulated trains with rear axle steering for tight curve radii. 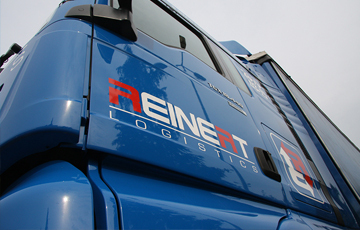 The walking floors of REINERT Logistics allow for the transport of bulk and break bulk cargo of up to 92 m³ load volume. This includes: wood chips, wood shavings, waste paper, collected waste, waste for recovery, recyclables, peat, compost, bale goods, bulk bags and pallet goods. The pallet-wide cargo space is not only optimised for volume, but also ideally suited for break bulk cargo and mixed loads. 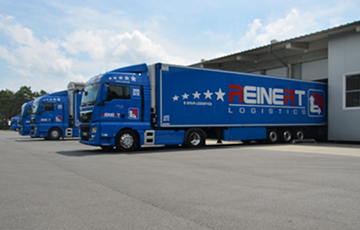 REINERT uses walking floors by manufacturers Kraker and Schmitz Cargobull. 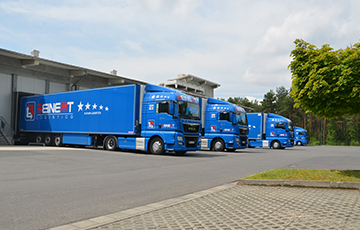 We maintain warehouse facilities across Germany.